There is a pre meeting on 21. September at 07:30 pm at Metropolis Mainstation-Building Heidelberg. 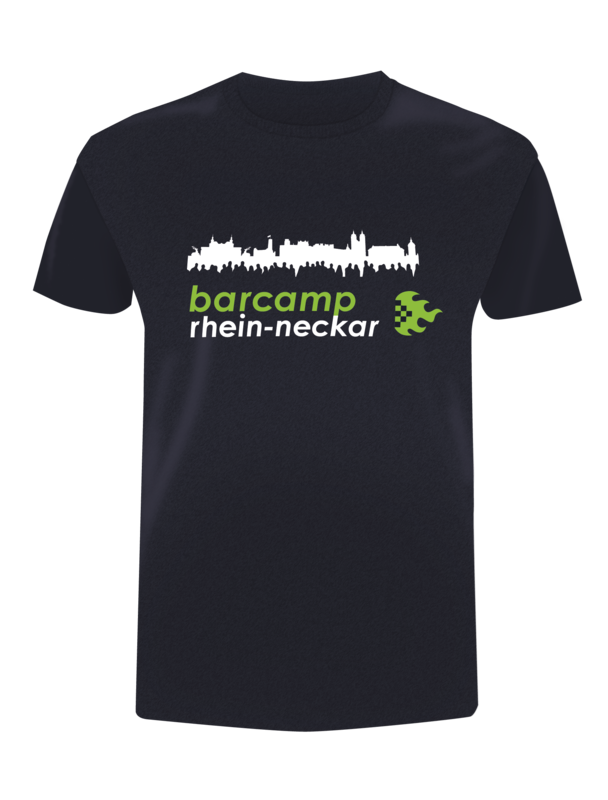 Included is the entrance for the whole weekend and a "Barcamp Rhein-Neckar 2018" -T-Shirt. With this type of ticket you support the Barcamps directly. On request, you will be named by name on our sponsors website" and the sponsor wall at the event. You will receive an invoice with VAT. Ticket for individuals. You can choose the type and size of the included T-shirt in the order process. From 08. September we can not guarantee that you will receive your t-shirt for the barcamp. In that case, we would deliver it. Ticket for business and company participants. You can choose the type and size of the included T-shirt in the order process. From 08. September we can not guarantee that you will receive your t-shirt for the barcamp. In that case, we would deliver it. Is follows the "pay what you can/want" principle. Most participants pay 24 Euro for two days or half of the orice for one day. With this amount you can help the organization of the Barcamps. It makes them more flexible and independent of sponsors. As an Angel you are going to help us voluntarily on the day of the event for two or more hours. The tasks are usually easy and simple (for example as microphone-angel pass the mic around or as welcome-angel introduce new barcamp guests at the entrance). The angels on a barcamp is a nice opportunity to look straight into the organization and to get into contact with other participants. This entry ticket is following the "pay what you can/want" principle. Most participants pay 24 Euro for both days. You can choose the type and size of the included T-shirt in the order process. This entry ticket is following the "pay what you can/want" principle. Most participants pay 12 Euro per day. You can choose the type and size of the included T-shirt in the order process. T-Shirt regular cut. You'll get your shirt/s at the entrance on the eventdate. T-Shirt slim cut. You'll get your shirt/s at the entrance on the eventdate.